My name is Robert Antonelli, founder of AVM. 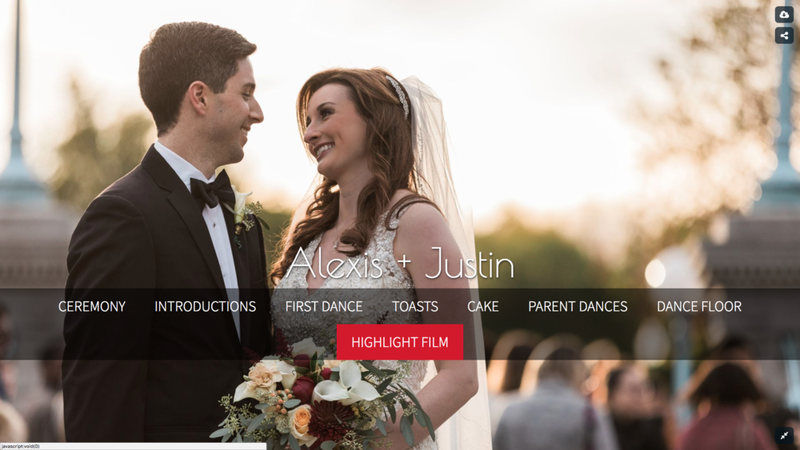 As a wedding filmmaker, there is nothing more important to me than creating an entertaining, emotional, and romantic wedding film. Although the moments I capture and the story I edit are yours, I approach them with as much passion, love, and detail as if they were my own. I've made it my goal to create affordable options for you but still offer a high quality, professionally produced video - something that you will enjoy for the rest of your life. I'm excited to hear from you and give you more details on my packaging options. Fill in the information below and I'll be in touch soon! This is the most popular choice as it creates a wonderful 4-6 minute story of your entire wedding day, starting during the getting ready process. Through music, sounds, and perfectly placed video images, a "mini-movie" of your special day will be yours to have and share forever. Here are some examples. With this choice, each moment of your day will be edited as a documentary style with titles and music. The final product will be sent as an online wedding menu allowing you to choose the moment you want to relive. Includes music and titles with sound from the wireless lapel mic. It takes your ceremony and makes for a crisp clean viewing as though you're right there all over again. It also includes footage of the venue itself to truly set the scene for where your beautiful day took place. Here's a finished example of a fabulous couple, Diana & Sean. Captures the fun and excitement of your bridal party entering and of course makes sure you never forget your grand entrance. Here's what it looks like. No one wants to forget their first dance. This edit recreates that special moment so you can go back and enjoy it for years to come. Here's a peak at Kristina & Mitch. Was it a clean cut and romantic feeding or did you cover each other in frosting? Both deserve to be remembered! Couples enjoy knowing that years from now, they can look back at the person who helped them the most and see and remember how important that dance was to both you and them! All my packages include an array of ADD=ONS including.. So what are you waiting for? Come and say hello!